Ms. Oka has appeared as soloist with The San Francisco Chamber Ensemble, The Utica Symphony Orchestra and numerous other orchestras in the Philadelphia area. 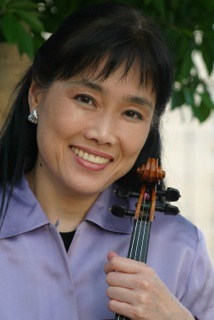 As a chamber musician she has appeared with The Marlboro Music Festival, "Chamber Music West" in San Francisco, The Theatre Chamber Players of The Kennedy Center, The Philadelphia Orchestra Chamber Music Series, Network for New Music, the Delaware Chamber Music Festival and The Philadelphia Chamber Music Society. She has also toured throughout the United States with The Brandenburg Ensemble and Music from Marlboro. She has performed and collaborated with world-renowned artists such as Jaime Laredo, Alexander Schneider, Leon Fleischer, Yefim Bronfman and Murray Perahia. Ms. Oka is a faculty of Temple University and its Music Preparatory Division.